There are certain things that every rhinoplasty procedure has in common. Regardless of the ethnicity of the patient, for example, every surgery should result in a nasal profile that adds harmony to the face. Achieving this goal varies widely from patient to patient, however, and the techniques used to enhance the noses of Asian patients differ from those used on Caucasian patients. Ahead, learn more about Asian rhinoplasty. For most Caucasian patients, the nose is reduced during the rhinoplasty procedure. The surgery may reduce width or length, minimize a dorsal hump, or correct a drooping tip. The techniques needed to enhance the appearance of a Caucasian nose are rarely applicable to Asian patients. When Asian patients want to augment their features, surgeons need to use techniques that suit their distinct facial structure. When Asian people choose to surgically alter their nose, they usually want to build their bridge and add tip definition. There are several aesthetic characteristics of the Asian nose common among patients considering this type of surgery. The nose tends to have a low nasal bridge. It doesn’t extend far from the face, and it may have a naturally convex slope. The tip of the nose may be rounded in shape, which can make this area of the nose appear wide or bulbous. 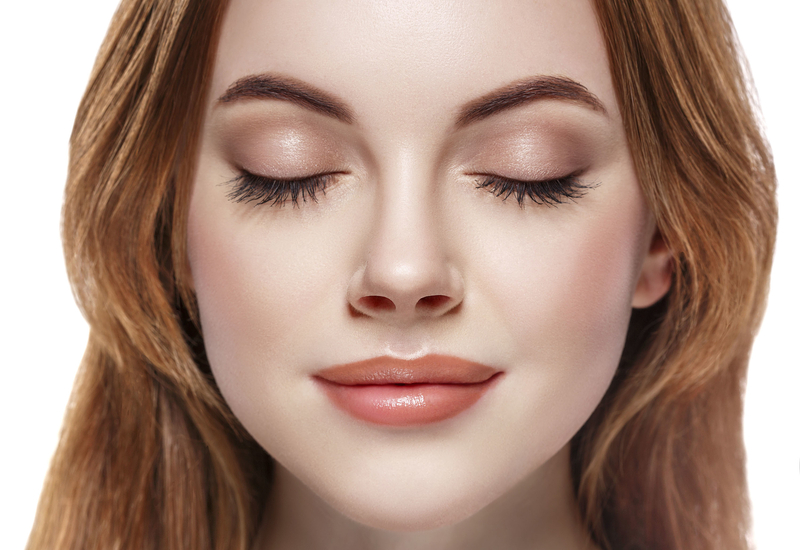 Asian rhinoplasty can help patients achieve their aesthetic goals. It can balance the width of the nose, reinforce the nasal tip, and adjust the width of the nostrils. Most importantly, rhinoplasty can build up the nasal bridge, which adds definition to Asian noses. If you’re considering a rhinoplasty procedure, don’t be afraid to be specific about your aesthetic goals. Most people who get Asian rhinoplasty procedures want to augment their ethnic features, not erase them. If you want to preserve elements of your original nose, consider bringing in pictures of Asian noses you admire. Photographs can help surgeons understand your aesthetic goals, even if you can’t express them in medical terms. If you show your surgeon pictures of three Asian celebrities, and none of their noses have “supratip breaks,” this will give the surgeon a clearer picture of what you’re hoping to accomplish. To perform a successful Asian rhinoplasty procedure, surgeons need to be well versed in the ways that Caucasian rhinoplasties and Asian rhinoplasties differ. Asian patients don’t merely have different aesthetic goals than patients of other ethnicities. Their surgeries require additive techniques, which surgeons may not commonly use when treating Caucasian patients. Because Asian rhinoplasty involves augmentation of the nose, surgeons may need to use implants or grafts. When surgeons use grafts to build up the bridge of the nose, the grafts often come from cartilaginous areas like the rib, ear, or fascia. By adding more cartilage to the nasal area, the nose becomes stronger and more defined. The cartilage acts as structural reinforcement, ensuring that the new nasal shape doesn’t alter with time. Depending on the shape of a patient’s original nose, cartilage may also be added to the tip. Using tissue from the nasal septum or the back of the ear, surgeons can add definition to bulbous or sloping nasal tips. When the tip is reinforced with cartilage, the nostrils naturally become slimmer. This is also on the wish list of many Asian patients, who may feel that their nostrils are too visible. Some surgeons may opt to use non-natural implants to augment Asian noses, made of materials like Gore Tex and silicone. While these implants can be used successfully, most surgeons prefer using natural implants, as it’s unlikely that the body would reject an implant made of natural cartilage. There are distinct characteristics of Asian noses that surgeons need to know to perform an effective Asian rhinoplasty. They should also be familiar with the characteristics of Asian skin. People of Asian descent often have thick skin, which can impact the surgical method and post-op recovery. During the surgery, surgeons may have to “defat” the skin around the tip, as this may help the skin envelope contract around the new tip structure. In general, people with thicker skin usually take longer to heal after rhinoplasty procedures. It’s important for Asian patients to be aware of this, as they may need to exercise patience during their post-op recovery. They may not see their final results until several months after the procedure. Asian rhinoplasty helps patients achieve a harmonious facial aesthetic and retain their unique identity. If you’re searching for a surgeon with expertise in this area, consider Dr. Andrew Jacono, MD. He is a Dual Board Certified plastic surgeon with extensive experience in the field of Asian rhinoplasty. He understand the techniques needed to augment and enhance Asian noses. For more information and personalized consultation consider New York Center for Facial Plastic and Laser Surgery.